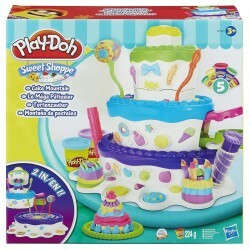 Let your imagination climb to the top of Cake Mountain, the ultimate crazy cake creation station! 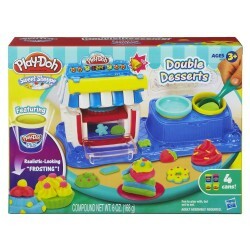 It's 2 playsets in 1 for double the creative fun, and features lots of other sweet ways for you to customize your Play-Doh cakes. 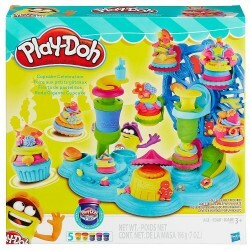 Make tiered and layered pretend cakes, crazy cake pops, and top with Play-Doh Plus frosting! 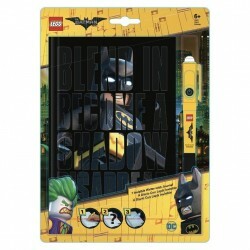 It's layers of fun with 2 playsets in 1! Once you've made your pretend cakes, it's time to decorate. 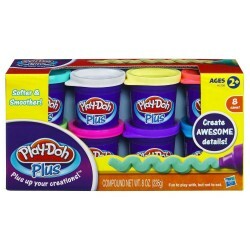 You can start by squeezing out some Play-Doh Plus frosting with the extruder. Try adding 2 colors for fun swirls! 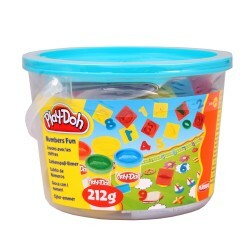 Add Play-Doh candies and other fun shapes with over 20 half-molds on the playset. 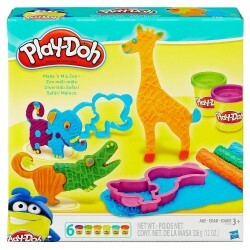 You can even use them to decorate the playset itself. 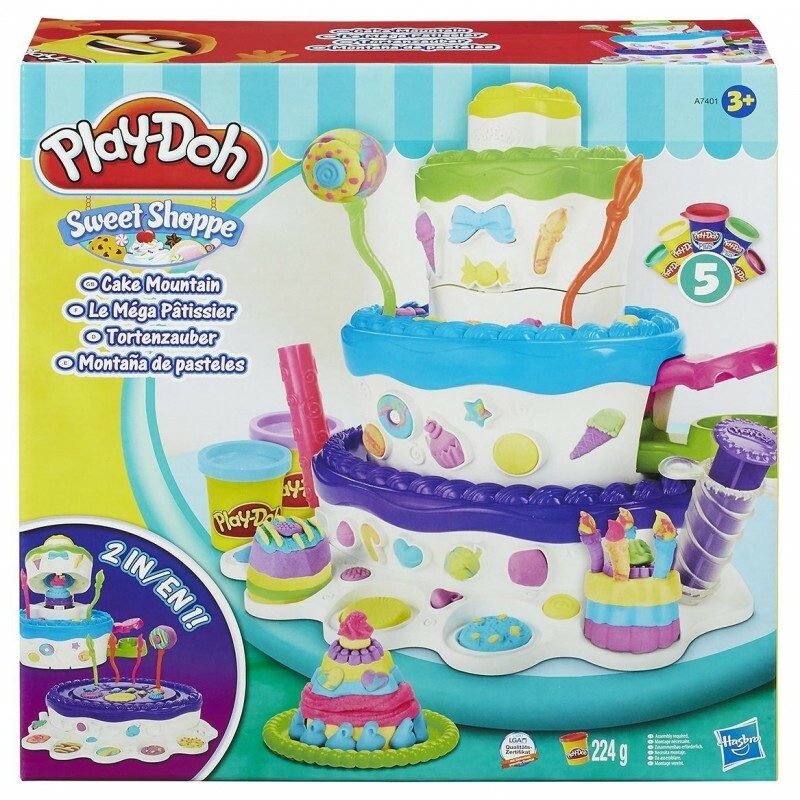 Top off your Play-Doh birthday cake extravaganza with the 6 included candles, then serve your pretend treats to your friends on the 2 plates! 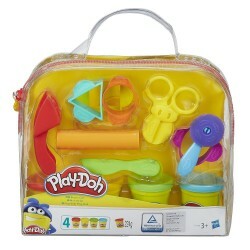 Kids create the wackiest menu they can imagine in the Play-Doh Sweet Shoppe world, and this arts and crafts toy gives you everything you need to do it your way! 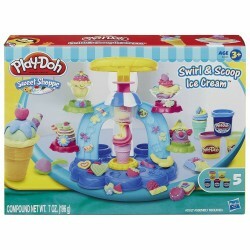 You can feel just like a real pastry chef as you make the most awesome fantasy desserts you can imagine. 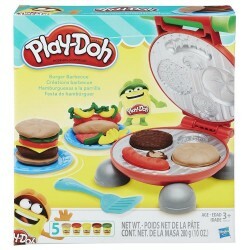 What kinds of crazy cakes will you make? Base, bottom cake tier, cake machine with cake stand, 6 sticks, 3 cake molds, 2 plates, knife, fork, 2-piece extruder, textured roller, 3 cans of Play-Doh Brand Modeling Compound and 2 cans of Play-Doh Plus compound. 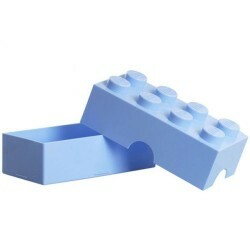 • Fun to play with, but not to eat.